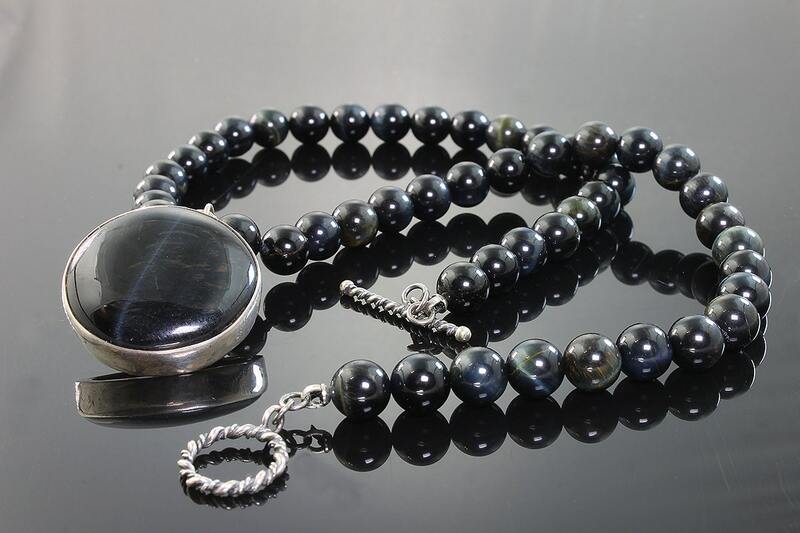 17" blue tiger's eye 8mm beads necklace with sterling silver pendant that holds a 27mm blue tiger's eye cabochon and a sterling silver toggle clasp. 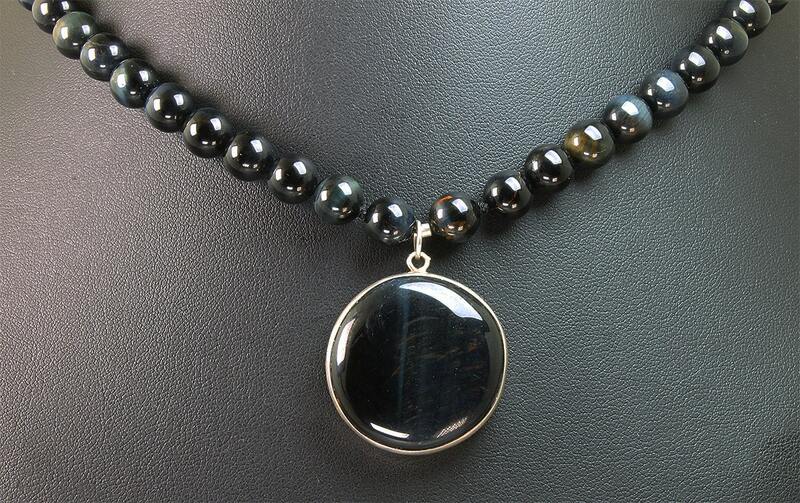 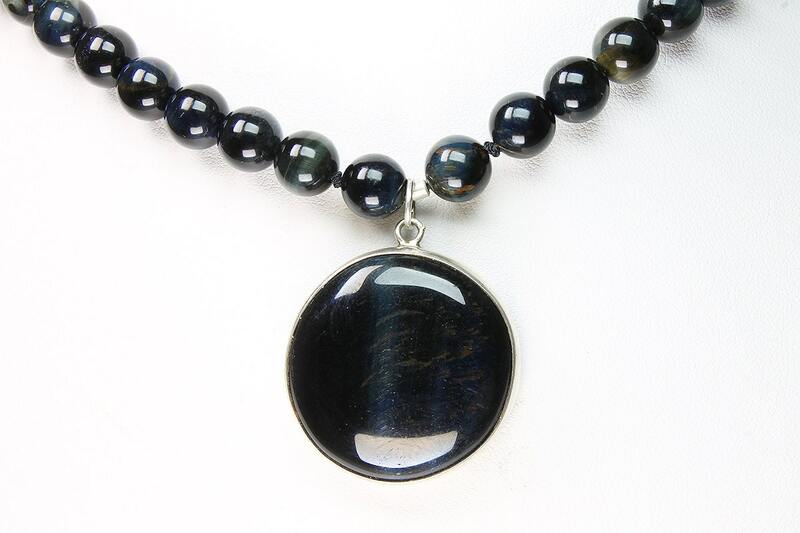 As a healing stone, blue tiger's eye is a stress reliever. 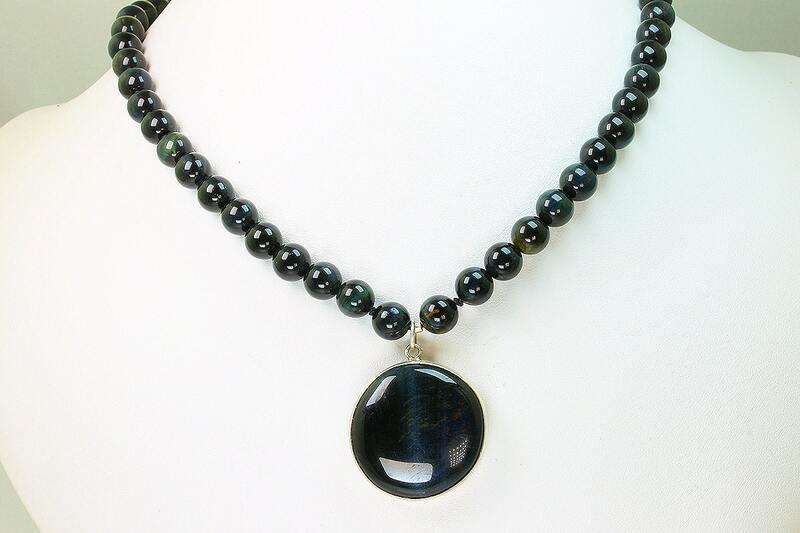 Aids the over-anxious..... Its a beautiful stone, nonetheless!